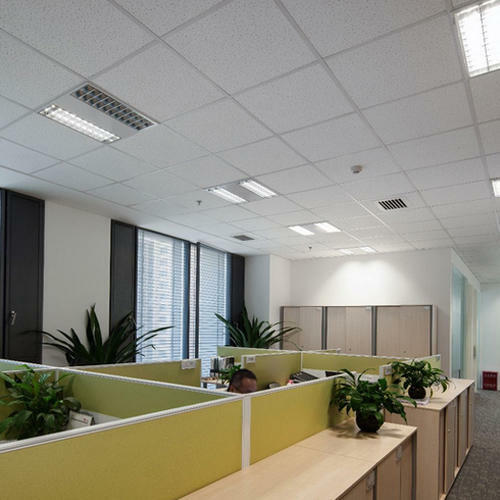 Being a leading firm in this industry, we are deeply engaged in offering a high-quality range of Mineral Fiber False Ceiling. Established as a Partnership firm in the year 2011 at Ahmedabad (Gujarat, India), we “Samyak Trading” are a leading Trader of a wide range of False Ceiling, Ceiling Tiles, Mineral Fiber Board, Cement Sheets, etc. We procure these products from the most trusted and renowned vendors after stringent market analysis. Further, we offer these products at reasonable rates and deliver these within the promised time-frame. Apart from this, we also provide Installation Service. Under the headship of “Mr. Dipesh Bhai Sankhesara” (Partner), we have gained a huge clientele across the nation.